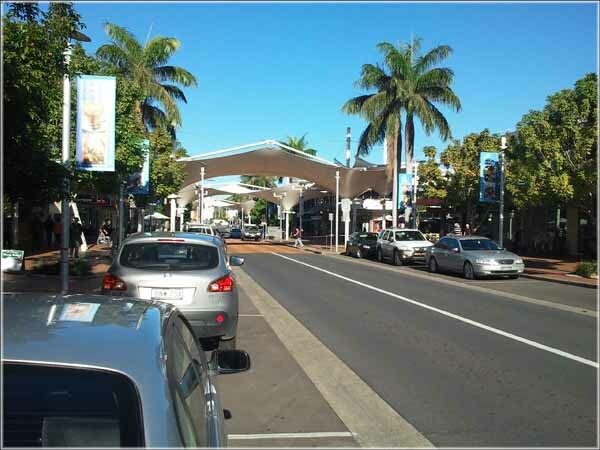 “Matilda”, the gps, decided the best route to return the rental car would be through the middle of the Coffs Harbour CBD. I would have preferred a less busy route but you can’t argue with Matilda who constantly informs you she is “recalculating”! Actually I think the city fathers have done quite well with the CBD. Apparently the road had been turned into a pedestrian mall which had the unexpected consequence of increasing the level of crime in the area. So it was converted back to a road. However on a Sunday it is closed and turned into a farmers market. I don’t suppose we will see too many palm trees when we reach the UK!